PRESIDENT Emmerson Mnangagwa, Vice-President Kembo Mohadi and Justice minister Ziyambi Ziyambi were yesterday named in the ongoing Hwange Colliery saga inquiry being conducted by the Parliamentary Privileges Committee (PAC). The trio’s names came up in the alleged bribery case, where a suspected dubious Central Intelligence Organisation (CIO) operative claimed that he had been sent by Mnangagwa and Mohadi to deal with problems at Hwange. He then reportedly demanded a $400 000 bribe from businessman James Goddard, claiming that he was acting on behalf of four members of Parliament’s Mines Committee. The four MPs were Temba Mliswa (Norton), Anele Ndebele (Magwegwe), Leonard Chikomba (Gokwe-Kabuyuni) and Prince Dubeko Sibanda (Binga North). The alleged bogus CIO agent was named as Shepherd Tundiya. Before the hearing commenced, Nyasha Makuzwa, who is Job Sikhala’s assistant lawyer and representing Ndebele and Sibanda, tried to stop the proceedings, arguing that Sikhala was filing a Constitutional Court (ConCourt)application for violation of section 69 of the Constitution, which stipulates that every person should be represented by a lawyer of their choice. PAC chairperson Chief Fortune Charumbira refused to stop the proceedings and, instead, demanded that Makuzwa should provide documentary evidence to prove that the application had been filed at the ConCourt. The Privileges Committee first heard oral evidence from Goddard, who disclosed that Tundiya facilitated a meeting between him and the four MPs, claiming that Mnangagwa had instructed him to look into the revival of Hwange Colliery. Tundiya is also said to have claimed that the President had tasked him to sort out the mess at the coal miner after it emerged that one Mota Anjil was demanding foreign currency for services, thereby prejudicing government. Goddard told Parliament lawyer Elizabeth Hove that Tundiya claimed Mnangagwa had sent him to facilitate a meeting with the four MPs. He said they later met at his Harare offices. 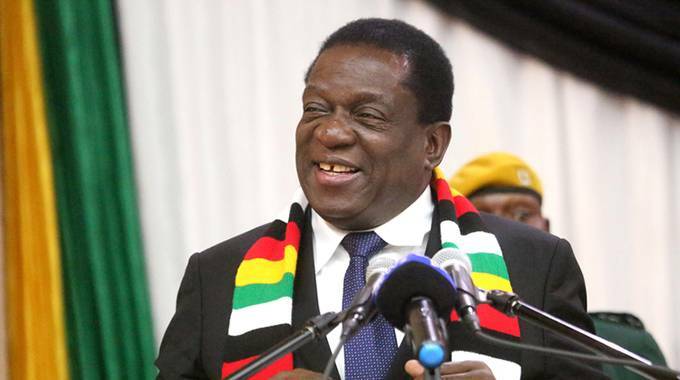 “Mliswa spoke for about 30 minutes saying that Mnangagwa was encouraging members of government to join up with the private sector to form partnerships to improve the operations of the economy,” Goddard said. He further said during the meeting, Mliswa left saying he was going to join his family for dinner. He added that he remained behind with the other three MPs, where Tundiya then claimed that the MPs had demanded a $400 000 bribe to enable them to fly to Hwange the following day and would not go there with nothing. Goddard told Mliswa’s lawyer, advocate Tawanda Zhuwarara, during cross-examination that the Norton legislator never personally demanded any bribe in writing or orally. It also emerged that Goddard did not know the agenda of the meeting held at his offices. He also said Tundiya was not his agent. “He (Tundiya) was not my agent. As far as I know, he was the guy requested by the President (Mnangagwa) to sort out Hwange and he showed me photos of himself with the Zimbabwe flag and he told me he had been sent by the President’s Office, he had been to Mnangagwa’s farm and the President had asked him to sort out Hwange Colliery,” Goddard said. The businessman denied during cross-examination by Zhuwarara that Mliswa had personally demanded the $400 000 bribe, but intimated that it was something said in Shona, a language he was not conversant in. Ziyambi’s name came in when Goddard claimed he had learnt that Hwange Colliery was under judicial management and had asked Mliswa to facilitate a meeting for him. Chikomba’s lawyer, Simon Musapatika, then further cross-examined Goddard on the role of his client in demanding the $400 000 bribe. Goddard said after the meeting, and when they were outside, he overheard Tundiya and Chikomba engage in heated discussions in Shona, where the Gokwe-Kabuyuni MP and Sibanda demanded money. He said Chikomba later gave Tundiya his bank account, adding he again overheard the MPs demanding $400 000. Goddard said after the meeting, he met Mohadi and told him that the four MPs had demanded a $400 000 bribe, and the VP advised him to then report the issue to Parliament. Further asked by Musapatika to explain if he had ever received any official correspondence from the Office of the President and Cabinet (OPC), Mnangagwa or Mohadi to confirm that Tundiya was, indeed, working under the instructions of the OPC, Goddard responded to the affirmative. He said when he met Mohadi at one time, he asked the VP to verify whether Tundiya was, indeed, a member of the OPC. “When I met Mohadi, I asked him about Tundiya and he indicated to me that he will revert back to me, but up to now, he has not reverted. When Mnangagwa officially opened Arcturus Mine, I phoned Mohadi and told him I was confused and told him what was worrying me. He said if I was prepared to testify, it was the right thing to do so,” Goddard said.